There are times in your life when you feel like you're at a fork in the road. 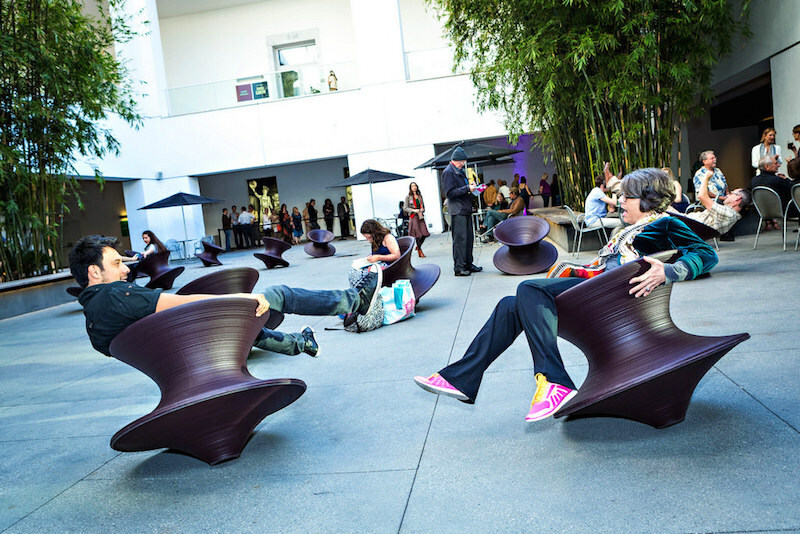 In Pasadena, you can make this feeling a reality. We've all been there in life. We could go this way, we could go that way. Which is the right choice? Who knows? But we gotta choose one. 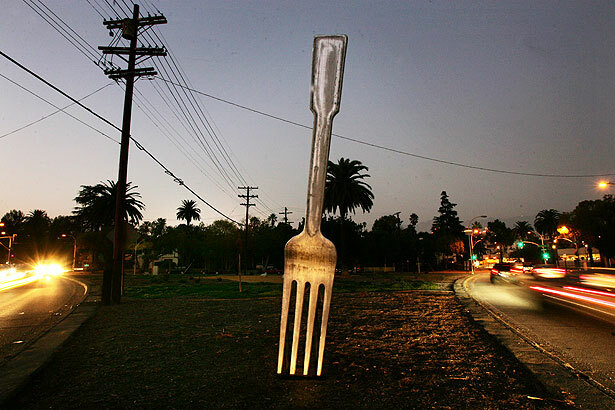 Well, it so happens that you can live out this very common choice in a very real way: the "FORK IN THE ROAD" statue in Pasadena! Yes, it is as hilarious as it sounds. This thing is huge! It's good enough for a laugh, or a hearty chuckle, or a knee-slapper, or a forced guffaw. Whatever it is, it's worth checking out if you have some time to kill or a person to make slightly more happy (or mad at you that you find such a pun entertaining).